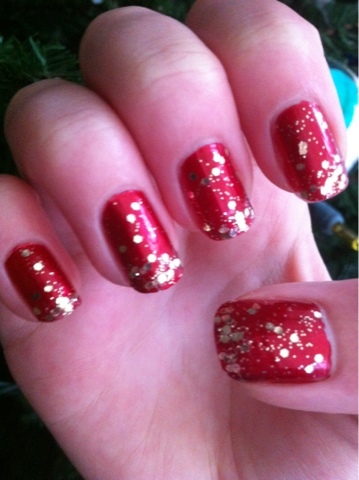 Do you like my nails? 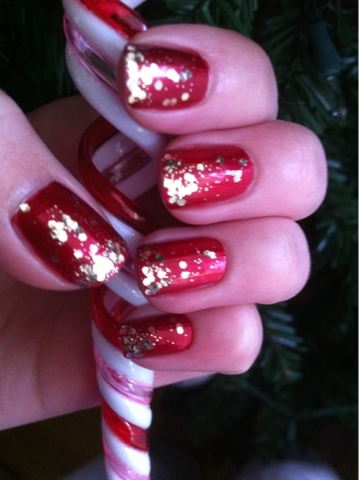 There is a tutorial on my YouTube channel called "New Year's and Christmas Nail Tutorial", which I filmed last year. Go check it out if you want! 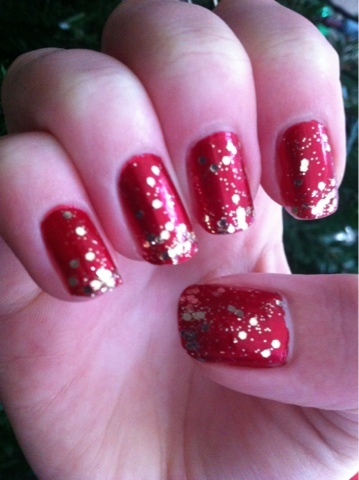 I did everything the same, except this time I used Sephora by OPI in "Sample Sale" for the base red.